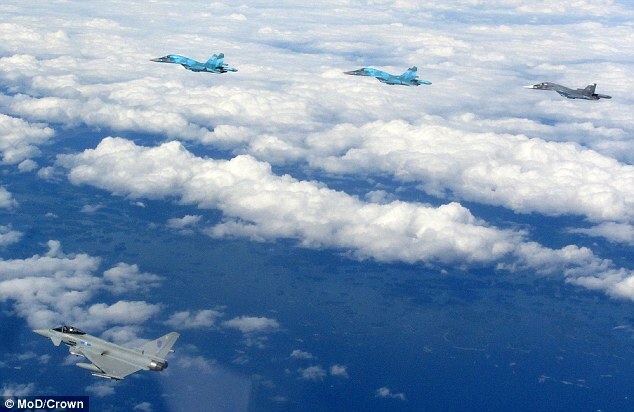 Two RAF Typhoons have been scrambled to intercept Russian fighter jets which strayed into Romanian airspace in the Black Sea. Wednesday’s incident is the second in a just over a week where RAF Typhoons have taken off from the Mihali Kogalniceafu air base in Romania to intercept Russian planes. 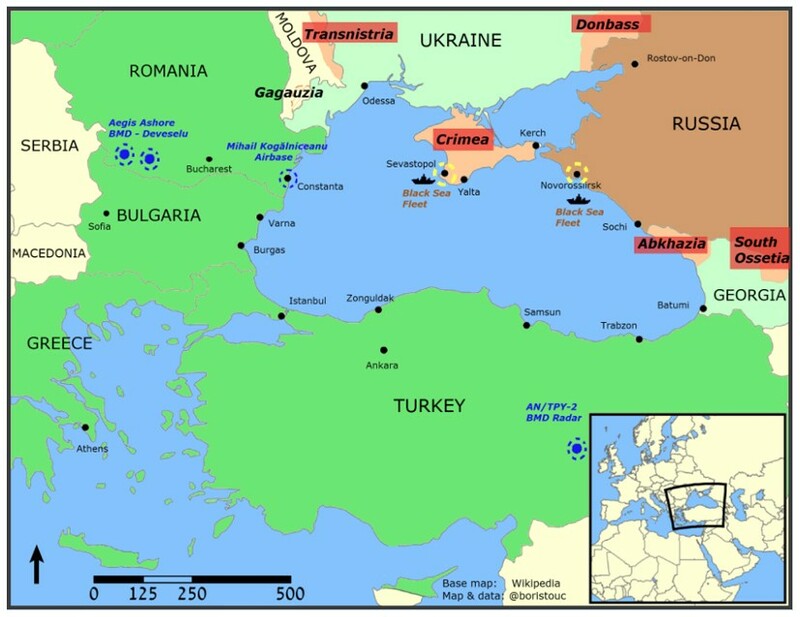 Last week, six Russian Su-24 Fencer planes were intercepted flying close to NATO airspace over the Black Sea. One of the Typhoon pilots from 1 Squadron, attached to 135 EAW, said in a statement: ‘We were monitoring the activity from the Ops room as the Scramble was called. ‘Everything went as planned with both of us, launching and heading east towards the two contacts. ‘We had radar contact and shadowed the two aircraft as they flew through the Romanian Flight Information Region, but we never got within visual range to see them. The RAF said in a statement that there had been ‘significant Russian air activity through most of the night‘, and that the aircraft eventually turned towards Crimea. It added the operation ‘was in accordance with the NATO Enhanced Air Policing (eAP) mission, whereby the RAF operates alongside its NATO ally to deter Russian aggression, reassure our friends in Romania and assure NATO allies of our commitment to collective defence’.